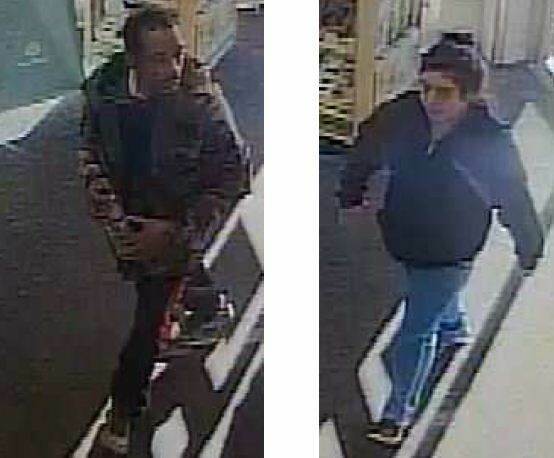 Columbia Police Department (CPD) investigators are releasing surveillance pictures to identify and locate two suspects accused of stealing car keys from an elderly female victim over the weekend. The incident occurred on December 16, 2018 at the Publix grocery store located at 7320 Broad River Road. The male this subject is accused of approaching the victim in the parking lot and initiating a struggle to forcibly remove the keys from her. The female suspect allegedly entered the vehicle with the suspect and left the scene in an unknown direction of travel. Citizens with information about the crime, or the identity and whereabouts of the suspects are encouraged to call Crimestoppers at 1-888-CRIME-SC.